When first visiting a town it can be hard to know where to start, and it's easy to miss some of the best hidden places that you wouldn't usually find yourself. So we have decided to create a list compiling some of the best ways to tour Cheltenham! 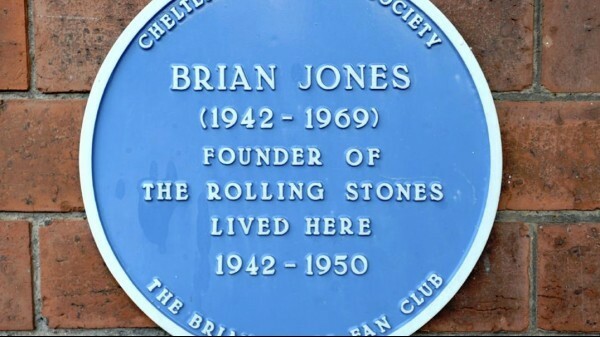 With the oncoming birthday of the late Brian Jones on the 28th of February 2019, Marketing Cheltenham and Cotswold Guides have announced the launch of an official Brian Jones walking tour to commemorate 50 years since the iconic musician's death. Having lived in Eldorado Road, Cheltenham in 1942, attending Deans Close School and Cheltenham Grammar School for Boys, Jones is an important part of Cheltenham's history. The tours begin on the 28th February and will take place on various dates up until the 24th August. 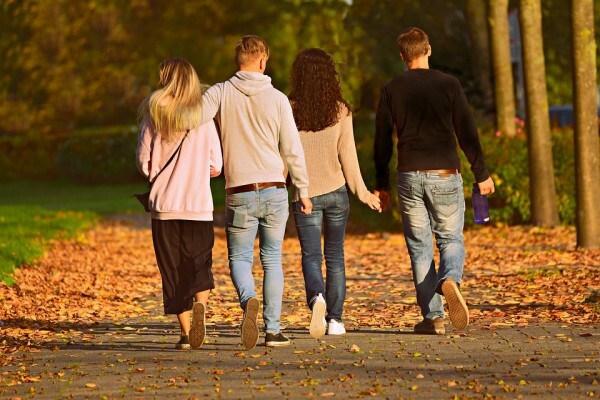 Perfect for a family day out, or to explore the town at your own leisurely pace, this trail is followed using a detailed guide and mobile app which has been developed by Compass Holidays. Starting at the Bicycle Hub unit, this exciting trail showcases the many interesting historic features the town has to offer. 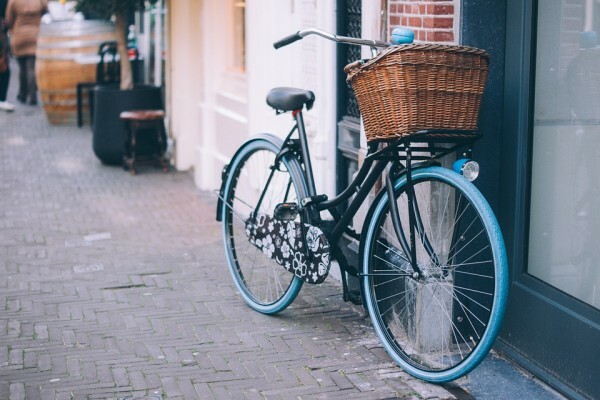 The gentle six-mile cycle trail will take you along the pleasant Honeybourne Line, through Pittville Park, down traditional Cheltonian styled streets, through the town centre and much more. Perhaps the easiest and cheapest way to travel round Cheltenham is through using Stagecoaches, which stop all through Cheltenham and into Gloucester. 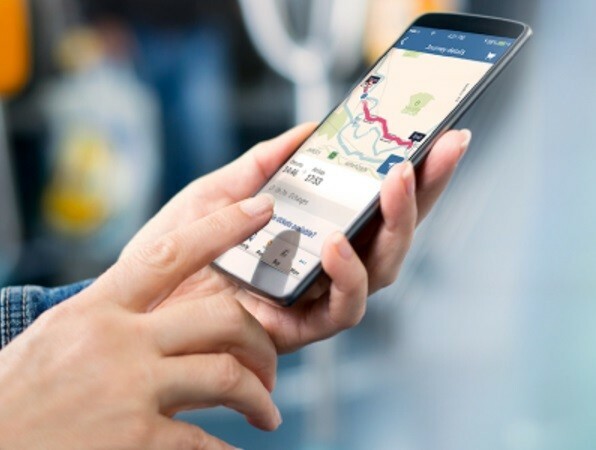 Not only this, but traveling is made easier with Stagecoach West's new mobile app which has everything you need in one place, from journey planning, live bus information to mobile bus tickets. Through setting your location using your phone's GPS, you can easily find the right buses, stops and routes no matter where you are! Also with contactless being introduced on all buses, paying for your fare has got even easier! So why not buy the day rider, and tour round Cheltenham with convenience? 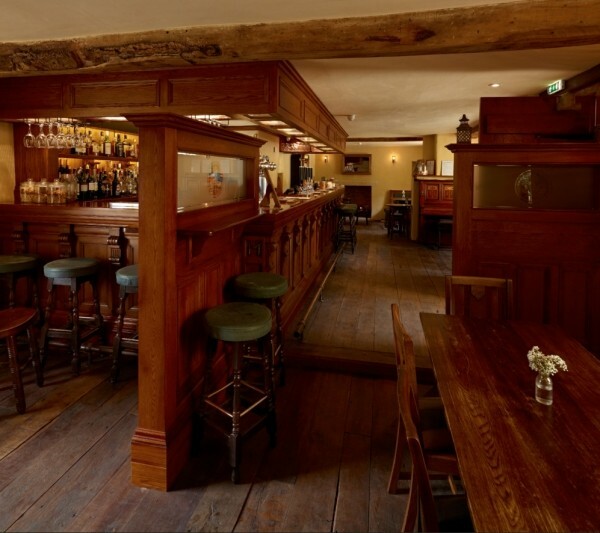 The site Brewerism offers great walking tours of some of the best pubs Cheltenham has to offer. The most popular tour called "Cheltenham Beery Walking Tour" explores the full scope of the brewing industry and the local 'beer scene' through a brewery tour, beer tasting, and a beer and food pairing. With a duration of 3-4 hours, the tour meets at the historic Brewery Quarter in central Cheltenham at Brewhouse & Kitchen to tour the on-site microbrewery and learn about the process of making beer before visiting Sandford Park Alehouse, Wild Beer at Jessop House and ending at Favourite Beers. 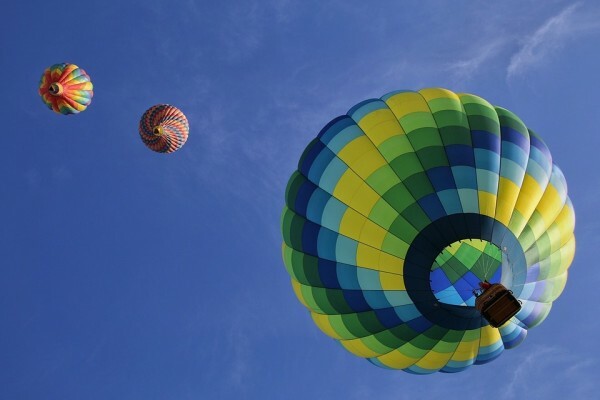 Departing from Charlton Park in Cheltenham, this air balloon tour will allow you to see Cheltenham and the surrounding areas in a completely new light. From launch, you will be able to spot the impressive Government Communications Headquarters building, the British intelligence agency of the UK government commonly nicknamed "the doughnut" and many more. So if you're already a resident of Cheltenham and looking for a new way to appreciate the wonderful town, or if you are visiting, why not book into one of these amazing air balloon tours? 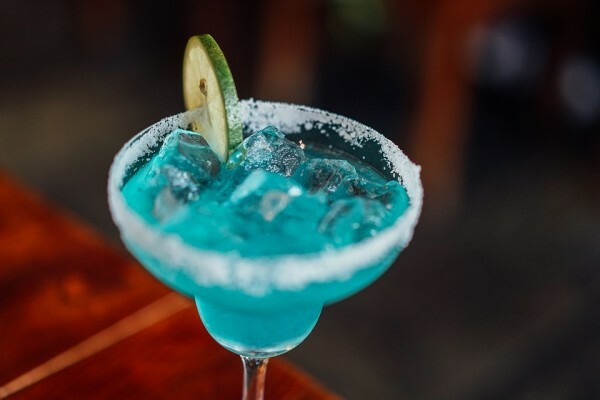 This evening cocktail and bites tour takes you on a glamorous exploration of the elegant spa town that is Cheltenham which has a long history of great cocktail bars. Come along on the tour and experience some of the finest gin tasters from local artisan gin makers, tasting in a beautifully restored Georgian mansion before heading to the classy Montpellier quarter and drinking their infamous bird cage cocktail. Includes@ 2x cocktails, gin taster, craft beer, British tapas, charcuterie and a Cotswold slider. Looking for a fun but different way to explore the beautiful town of Cheltenham? The Cheltenham Explorer Hunt guides you on a tour of some of Cheltenham's most famous landmarks as well as some lesser known gems. Following a series of clues on your smartphone, you'll hunt around in real world locations to find the answers and follow the trail. Along the way you'll learn fascinating facts and interesting local history. 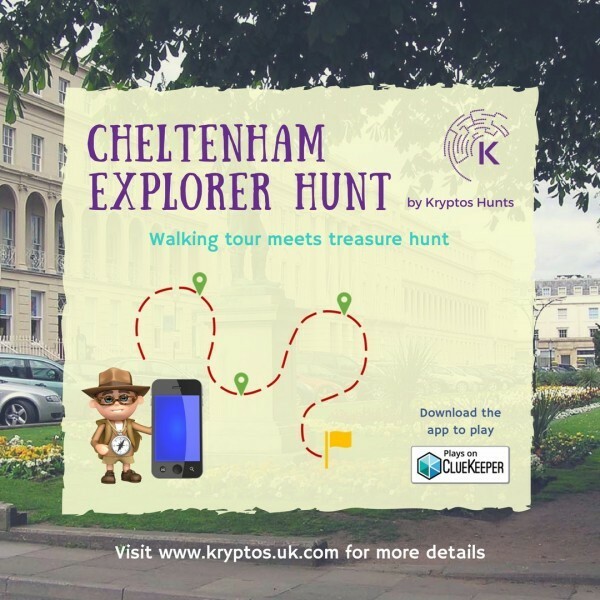 This hunt is a perfect activity for those who are visiting Cheltenham but want something more interactive than a classic guided tour or for those from the area who are just looking for a fun activity to do outside. Are you looking for a fun way to explore Cheltenham with the family? Then why not explore Cheltenham on this self-guided Spy Mission themed Treasure Trail. As you follow the Trail route see if you can solve the sneaky clues found on buildings, monuments and features of Cheltenham to crack the code and complete the mission - just like a true secret agent. In close quarter to Cheltenham College and adjacent buildings, this tour is right next to Cheltenham great shopping town for you to explore and grab some food if you get hungry on your travels!